There's still time to get some online shopping done. 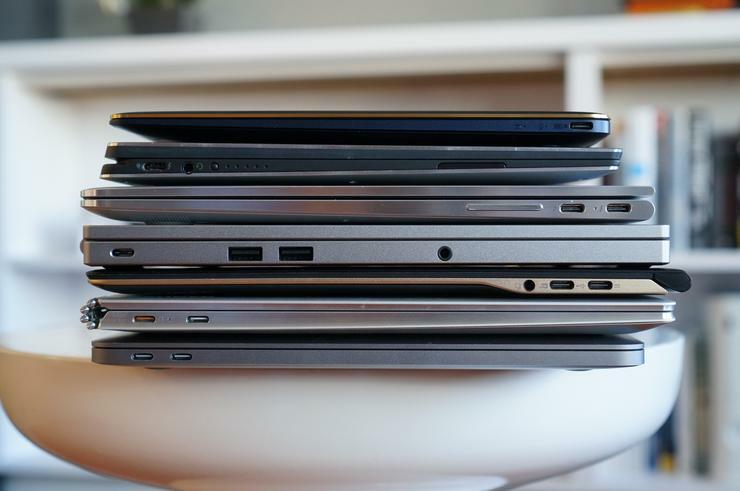 On this greenest of Green Mondays, we've pulled together the top laptop deals available: These options range from a fancy gaming laptop to an ultra-budget conscious clamshell and points in between. We'll be updating this article from time to time as deals change, so check back every so often to see what else we've found. Just be warned that if you wait too long, you may miss your opportunity to get anything in time for the holidays! HP has a nice deal on the HP Envy x360 convertible laptop on its website. For $700, you get the base model with the quad-core, 1.6GHz Core i5-8250U, 8GB of RAM, and a one terabyte hard drive. The centerpiece of this clamshell is its 1080p screen with touch capabilities, which allows the user to take advantage of Windows 10's inking capabilities. A lightning deal from Amazon, this laptop is $200 cheaper than it was just over a week ago. The laptop features a 14-inch 1080p IPS display, a 2.8GHz Core i7-7700HQ processor, 16GB of RAM, 256GB PCIe SSD, and a GeForce GTX 1060 graphics card. 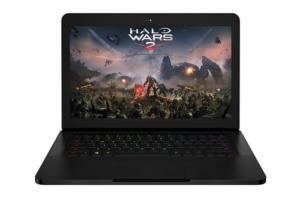 This laptop is ready for virtual reality and is fairly thin for a gaming laptop at 0.7 of an inch thick. It also weighs 4.3 pounds, which makes it more portable than many gaming laptops. To counter Google's Chromebooks, Microsoft has been encouraging its partners to create ultra-cheap Windows 10 notebooks with low-powered processors and minimal onboard storage. These systems can manage basic everyday tasks as long as they have enough RAM. 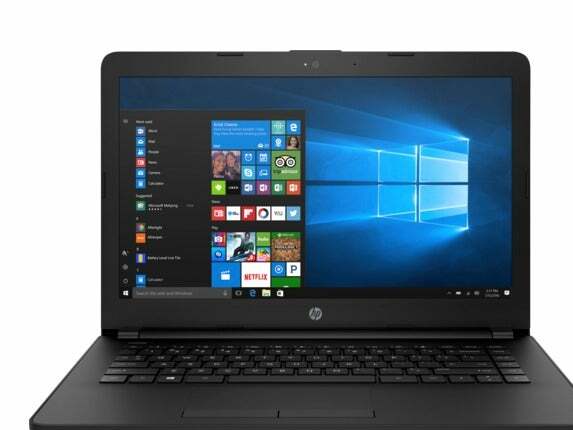 HP's Green Monday sale has one such laptop available that features a dual-core 1.6GHz Intel Celeron processor, 4GB RAM, and 32GB eMMC storage. It also comes an SD card slot to expand the device's storage, two USB 3.1 ports, one USB 2.0, HDMI, and one VGA. Though it's not a workhorse, this model should adequately handle web browsing and document editing—and unlike a Chromebook, it can support a wider number of applications. 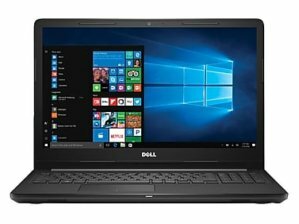 Staples has a daily deal available on a capable Dell laptop for $380. 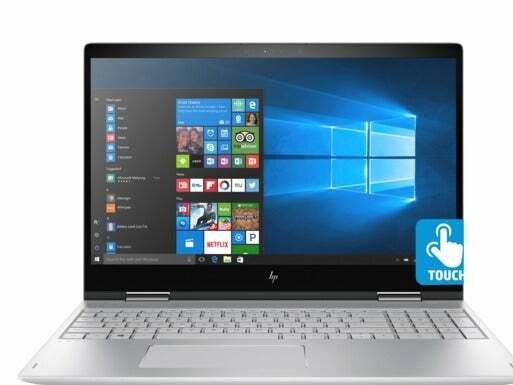 This device includes a 15.6-inch display with 1366-by-768 resolution, a dual-core 2.4GHz Intel Core i3-7100U, 8GB RAM, and a 2TB hard drive. There's also a DVD drive, 3-in-1 card reader, Bluetooth 4.0, 2 USB 3.0 ports, one USB 2.0, HDMI out, and 802.11ac Wi-Fi. It's just under an inch thick and weighs close to five pounds. 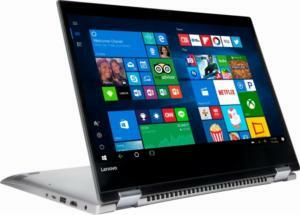 Best Buy's got a 2-in-1 Lenovo touchscreen laptop for $330 right now. The 14-inch display offers 1366-by-768 resolution. Admittedly this deal would be better with a 1080p screen, but a sub-$400 price helps counter that shortcoming. There's also a dual-core, 2.3GHz Intel Pentium 4415U processor, 4GB of RAM, and a 500GB hard drive. It's 0.8 of an inch thick and weighs 3.75 pounds. It's got one USB-C port, one USB 3.0, HDMI out, 802.11ac Wi-Fi, and media card reader.